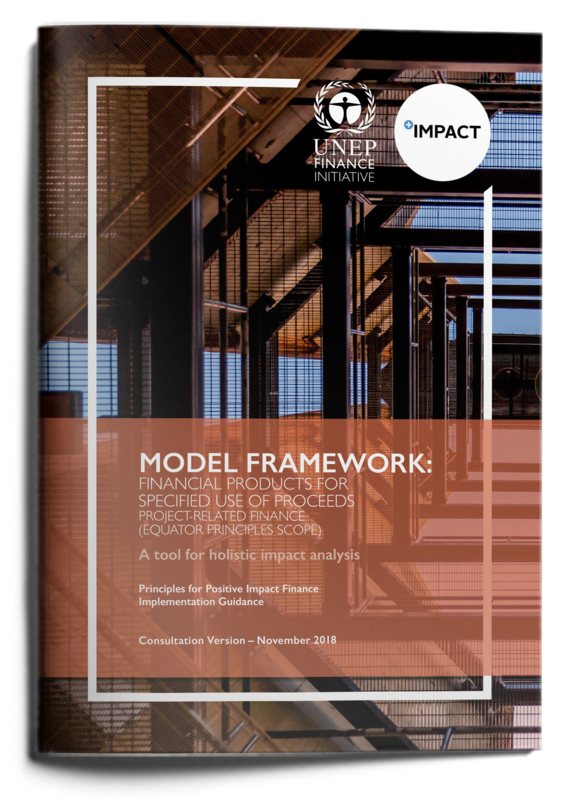 This Positive Impact Initiative Model Framework covers Financial Products where the funds raised or guarantees issued are used for a specific purpose, in this case Project-related finance within the scope of the Equator Principles. As per the Principles for Positive Impact Finance, appropriate frameworks are required to implement the holistic impact analysis and management needed for financial institutions to deliver their financial products and services in alignment with the definition of Positive Impact Finance. Financial institutions or intermediaries seeking to deliver Positive Impact financial products. The PI Model Frameworks will enable them to develop appropriate frameworks or adapt their existing frameworks to serve a number of purposes: for decision-making (i.e. on financing /investments); for the development of PI financial products, or for on-going analysis/monitoring of portfolios.